Russia’s Supreme Court has refused to rehabilitate Genrikh Yagoda, former director of Stalin’s security agency NKVD notorious for founding the infamous labor camp system - the Gulag. The decision was released on Thursday after closed hearings. The Supreme Court noted in the statement that the ruling was based on the position of the deputy prosecutor general and the Federal Law on Rehabilitation. No further details were disclosed. Professional revolutionary Genrikh Yagoda headed the Bolshevik security and intelligence service, the NKVD, between 1934 and 1937. He is most known for founding the Main Directorate for Camps and Detention Facilities, better known as the Gulag. Yagoda also played a major role in several political processes launched by the pro-Stalin wing of the Bolshevik party against their “old guard” competitors. In 1937, he was arrested on multiple charges ranging from espionage and sabotage to conspiracy to kill Lenin and Stalin and several other key Soviet functionaries and celebrities. Yagoda was sentenced to death in March 1938 and almost immediately executed by a firing squad in central Moscow’s Lubyanka prison. 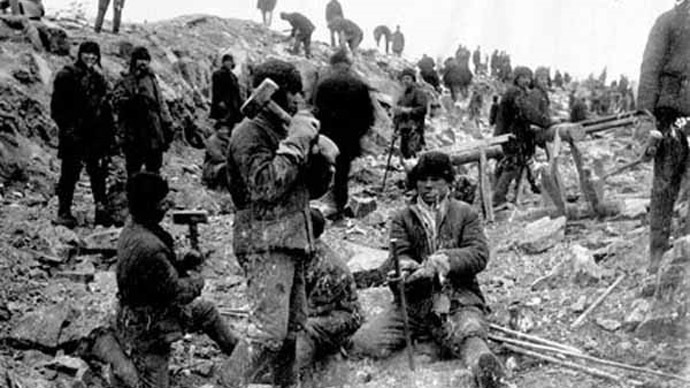 In 1988, as part of the Perestroika policies the Soviet authorities decided to review the sentences passed during the era of Stalinist purges which resulted in mass rehabilitation. In the Yagoda'a case all convicts were rehabilitated except him. A major Russian NGO Memorial that specializes in the history of Stalinist purges welcomed the Supreme Court’s ruling. “This decision was logical. The man who headed the state security body committed a great number of crimes,” the head of the group, Arseniy Roginskiy, was quoted as saying by Interfax. He added that any convict who had committed crimes against justice should not be rehabilitated. It’s another thing that charges against Yagoda were also forged, Roginsky acknowledged, but as the case materials remain classified to this day independent experts cannot make a well-based conclusion on the matter. The head of the Presidential Council for Human Rights, Mikhail Fedotov, told reporters that in his view the Thursday court ruling was adequate, as Russian law forbids the rehabilitation of people who have participated in repressions.